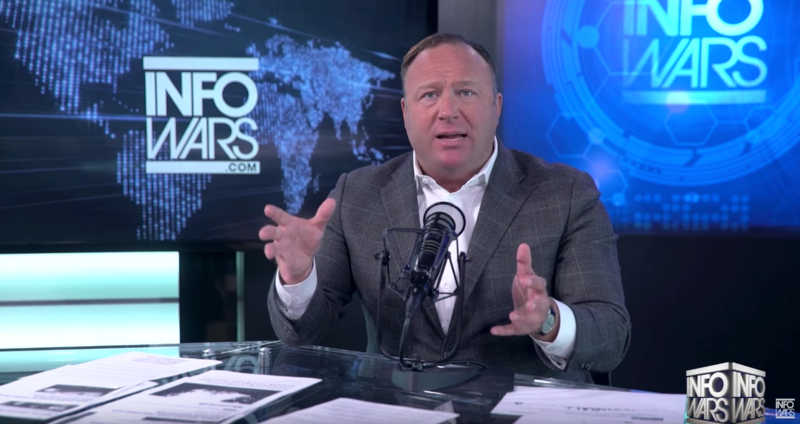 Alex Jones lost a bid to dismiss a lawsuit filed by families of children killed in the Sandy Hook massacre. The lawsuit was filed in state district court in Austin by Veronique De La Rosa and Leonard Pozner, parents of Noah Pozner, who was 6 years old when he was killed in the 2012 mass shooting at Sandy Hook Elementary School in Newtown, Conn. The Pozner case is one of three defamation lawsuits, including another in Texas and one in Connecticut, filed by relatives of nine Sandy Hook victims. Lawyers for Mr. Jones on Thursday sought the dismissal on free speech grounds of a defamation case filed with the Austin court by Neil Heslin, whose son, Jesse Lewis, was killed at Sandy Hook. This ruling came in one of a pair of cases that were filed against Jones in his home county of Travis County, Texas, which essentially encompasses Austin and much of the surrounding area. Both cases raise similar claims against the notorious conspiracy theorist and radio host, namely that he defamed the families when he made the claim that they were lying about having lost their children in the attack both in the immediate aftermath of the attack and in subsequent interviews after several of them had become advocates for increased gun control. 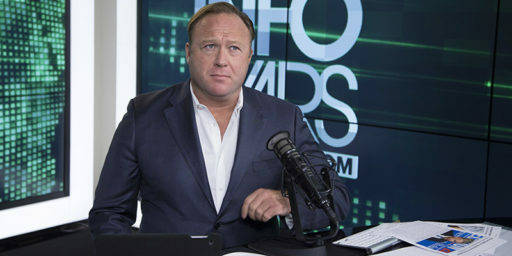 Jones also faces similar claims in a defamation suit filed by the parents of six of the students killed in the attack along with a first responder to the attack, all of whom were identified by name by Jones and “reporters” working for his website InfoWars as being part of a conspiracy to perpetrate a false attack ostensibly for the purpose of justifying a crackdown on gun rights that, of course, never actually occurred except on a limited basis in states such as New York and Connecticut. In any case these claims were, quite obviously, false and would clearly seem to give rise to the claims that are being raised against Jones in these cases. In his deforense in the case in Texas, though, as well as in public statements that he has made in the months since these lawsuits were filed, Jones has attempted to walk back his claims in what is obviously a desperate bid to hold off claims that he clearly seems destined to lose. Most notably, Jones has tried to claim that his assertions about the Sandy Hook attack being a “false flag” attack are merely statements of opinion, that his entire conspiracy theory schtick is an act, and essentially that no serious person can take him seriously. The problem with this argument is that if one actually watches the episodes of Jones’s show where he makes these false claims about the Plaintiffs and other Sandy Hook parents, it’s quite obvious that he isn’t framing the accusations in the form of an opinion, he is stating them as fact. He is claiming that the attack never happened, that the children never existed, and that the parents themselves are either lying or so-called “crisis actors” who are participating in a fraud for political purposes. That’s not an opinion, that’s a statement of fact. Additionally, even if it were believable that Jones was merely stating his opinion, that doesn’t mean he would have an absolute defense to a defamation case, that does not automatically mean that it cannot be considered defamatory. While this can become a complicated area of law that varies from one jurisdiction to another, it is generally the case that if a reader or listener could “reasonably understand” that the communication in question is a statement of fact that could be proven then the statement in question will not be considered an opinion. This is generally taken to be especially true if the communication is meant to be sufficiently derogatory to cause harm to the reputation of the person it is directed at. Finally, a statement framed in the form of an “opinion” can be considered defamatory if it “implies that the opinion is based on defamatory facts that have not been disclosed.” (Source) In other words, even if Jones were successful in framing his claims as an “opinion” that does not mean that he is immunized from a defamation lawsuit. Again, though, this is an area of law that is very fact-intensive and varies from jurisdiction to jurisdiction, and I can’t speak specifically to what the law in Texas or Connecticut is on these matters. This isn’t the only controversy that Jones has faced over the past year, of course. Most recently, he has lost access to many of his social media accounts, including Facebook, Instagram, and YouTube, on the ground that he has violated the terms of service of these respective companies. Additionally, he faces a number of other legal battles in addition to the claims by the Sandy Hook families. For example, Jones and InfoWars are currently facing a lawsuit filed by a man named Marcel Fontaine, who Jones incorrectly and with apparently no evidence identified as the shooter in the February 14th shooting at Marjorie Stoneman Douglas High School in Parkland, Florida. Jones also sought to dismiss Fontaine’s lawsuit, but the same Judge to whom the Sandy Hook case is assigned denied a Motion to Dismiss in that case. although Jones did gain a small victory in that case in that he has been removed as a Defendant in that case although two of his companies remain as Defendants in the case. Jones is also among the Defendants in a lawsuit by a man named Brennan Gilmore, who recorded the attack that killed Heather Heyer at last year’s alt-right rally in Charlottesville, Virginia. 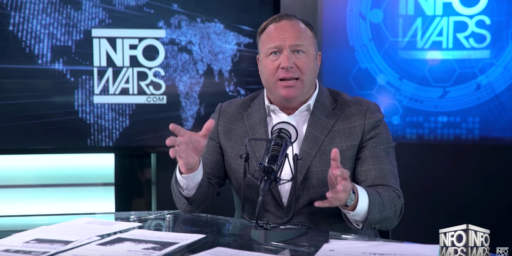 On several occasions after that event, Jones referred to Gilmore as a “deep state shill” and a “CIA asset.” Alex Jones’s chickens are, it seems, coming home to roost. I hope they win and then the other parents go after him. There should be a special place in hell for people like Jones. Regrettably, this isn’t going to discourage Jones’s fans. People who believe that Barack Obama and Hillary Clinton are, literally, demons (as Jones has proposed several times), that the U.S. government is using juice boxes to turn schoolchildren into homosexuals, and that the Boston Marathon Bombing was a “false flag” operation know what they know. And what they know is that “the deep state” and “the globalists” are out to silence Jones, and this trial is just another plot generated by The New World Order. It’s hilarious that Jones’s lawyers are using the same defense that was used in Jones’s custody trial: that any reasonable person would understand that Jones is a performance artist, and that nothing he says is to be taken seriously. as being part of a conspiracy to perpetrate a false attack ostensibly for the purpose of justifying a crackdown on gun rights that, of course, never actually occurred except on a limited basis in states such as New York and Connecticut. He is claiming that the attack never happened, that the children never existed, and that the parents themselves are either lying or so-called “crisis actors” who are participating in a fraud for political purposes. That’s not an opinion, that’s a statement of fact. @CSK: Any reasonable person should realize that Jones is a scumbag grifter peddling ugliness. And that even real performance art can cause havoc. Most notably, Jones has tried to claim that his assertions about the Sandy Hook attack being a “false flag” attack are merely statements of opinion, that his entire conspiracy theory schtick is an act, and essentially that no serious person can take him seriously. I could sit around and debate the questions of Jones’ legal liability, but it’s kind of beside the point to me because I totally agree with steve that there should be a special place in a hell far, far away for people like Jones where people like him and those who act on his lies.